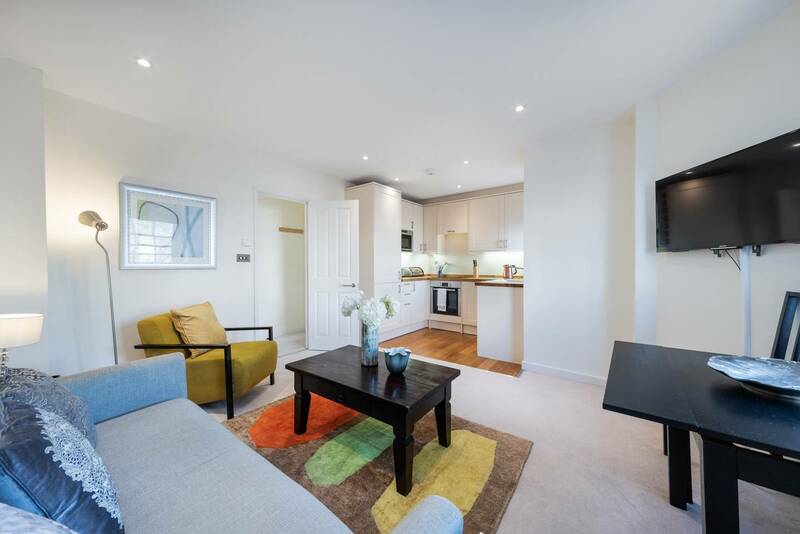 Beautifully furnished 2 bedroom apartment, well situated in the sought after area of Fulham Broadway. Perfect for families, a group of friends or corporate travellers. 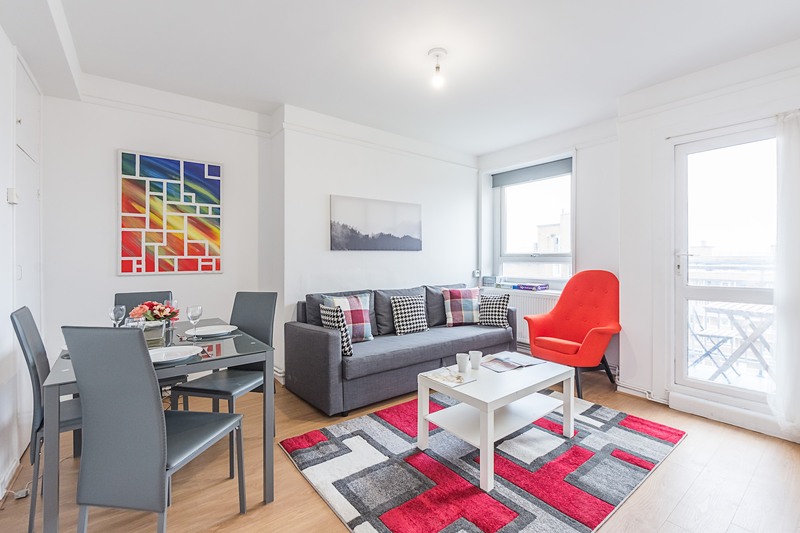 The apartment has a spacious, open plan living space with lounge area for relaxing, dining area and modern kitchen with all the amenities to make your stay a home from home. 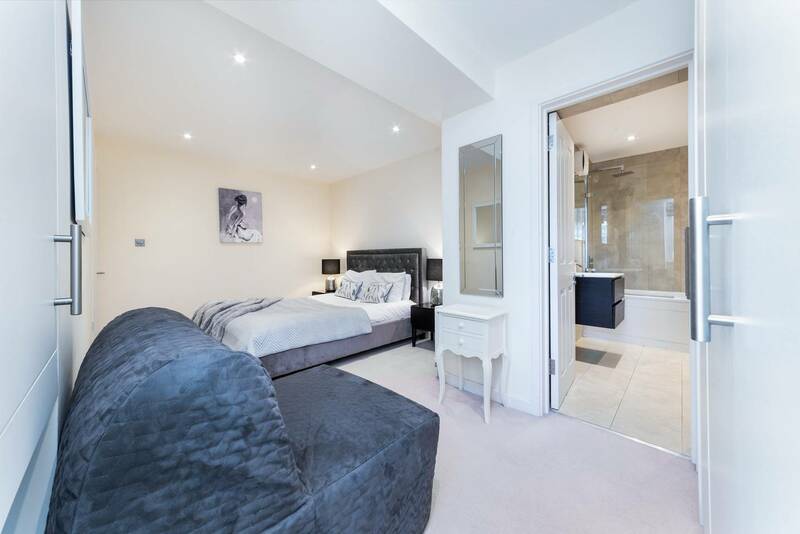 The master en-suite bedroom has a King size bed and private, spacious, hotel-style bathroom. 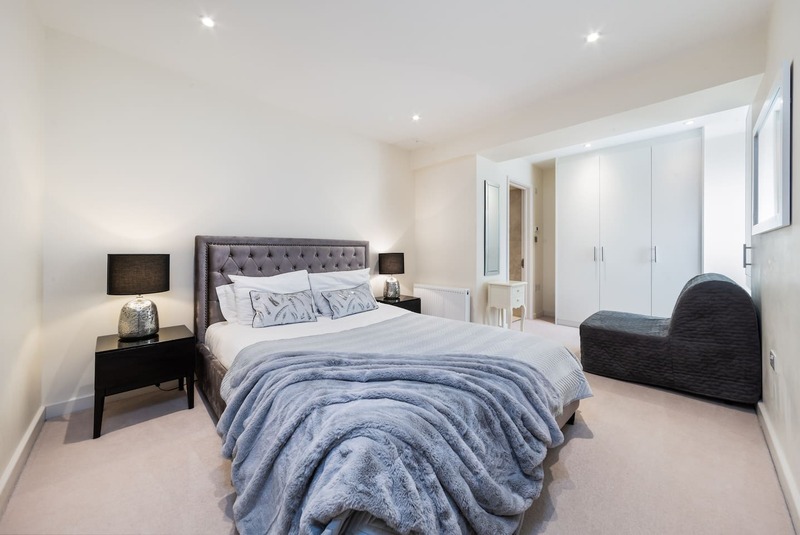 The bedroom has luxurious boutique hotel feel with beautiful soft furnishings and excellent lighting. 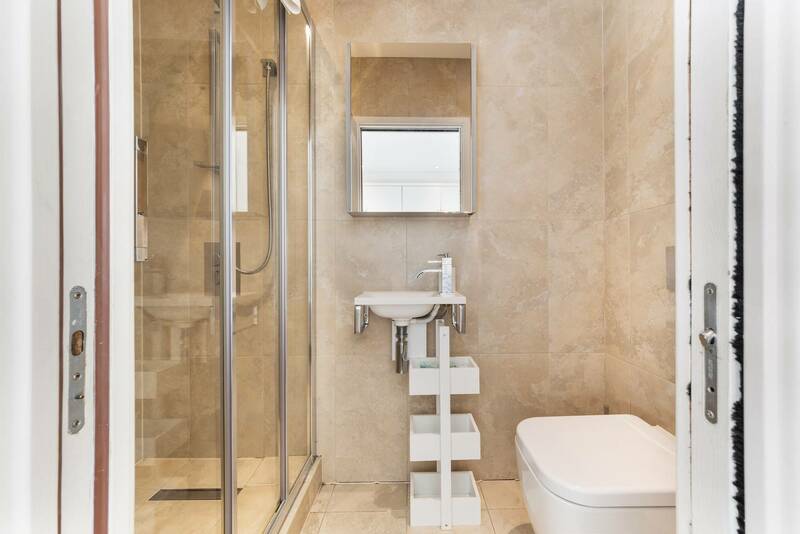 The en-suite is fully tiled with a large bathtub/shower, vanity unit and towel rail. 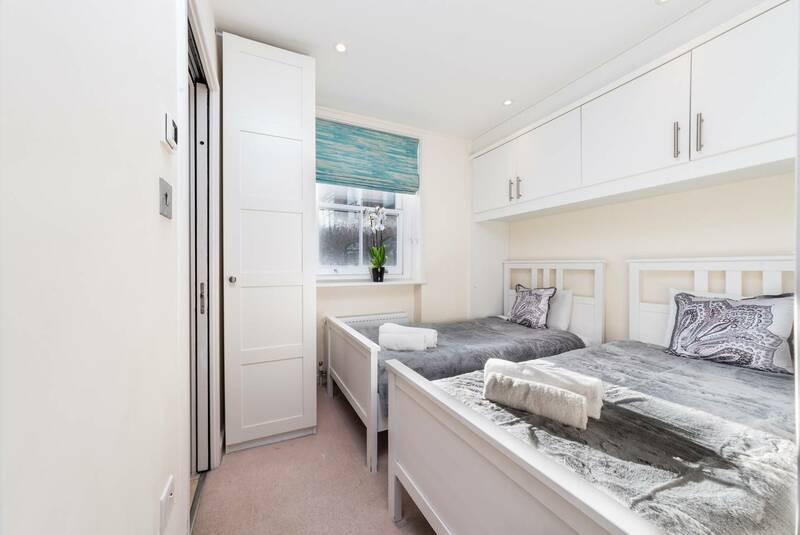 The second bedroom has twin single beds and an adjoining bathroom. The bedroom has storage for all guests. 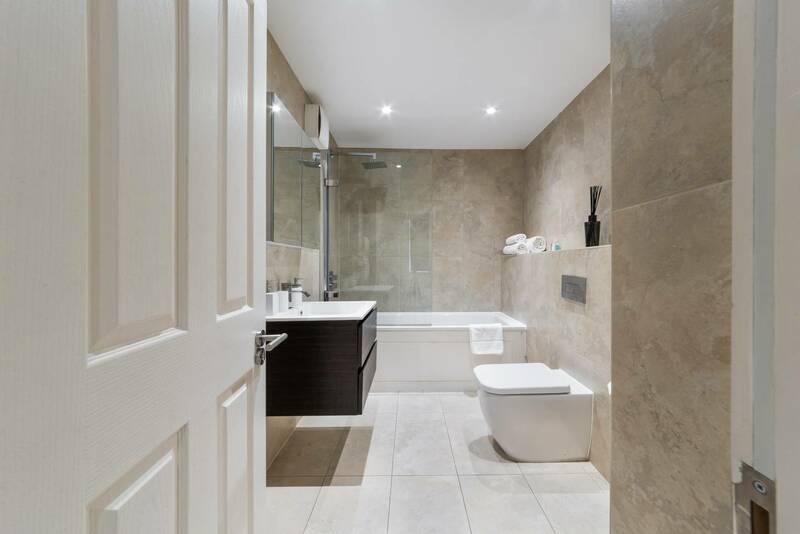 The en-suite bathroom is fully tiled has a toilet, basin and large built in shower. 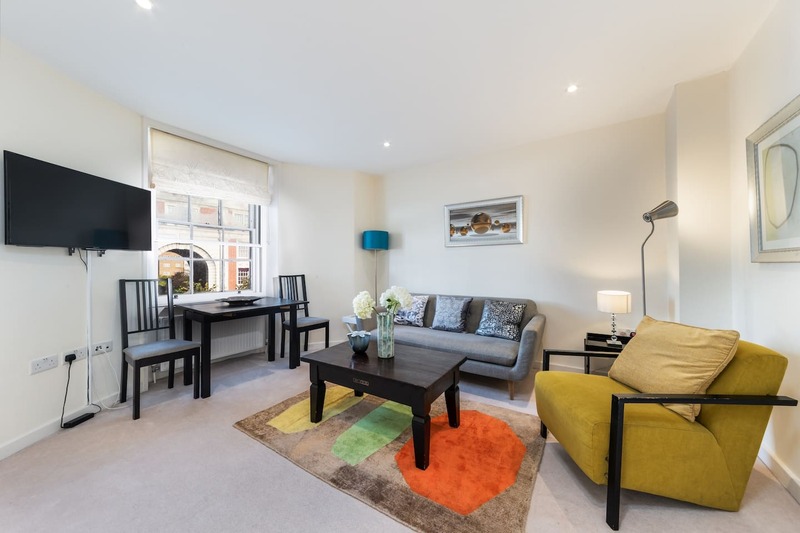 The apartment has an excellent Wifi connection ideal for leisure or corporate travellers. 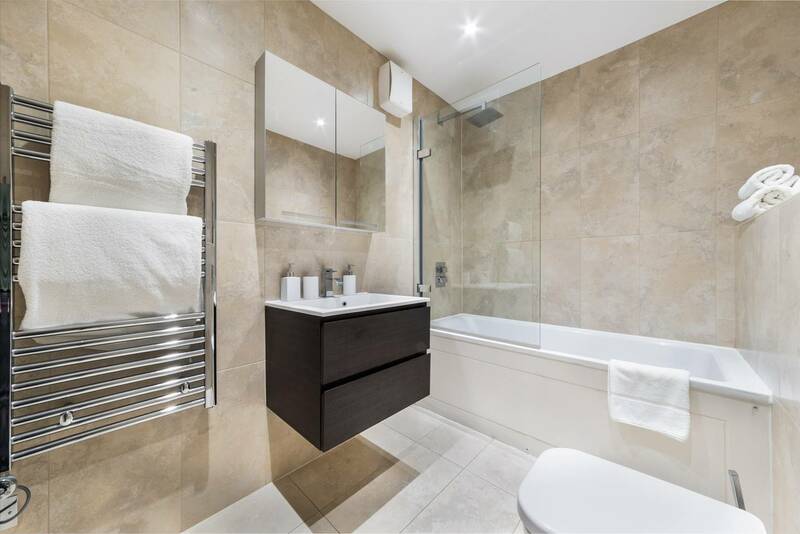 However long you wish you wish to stay this beautiful apartment is exclusively yours. We will greet you at the apartment on your arrival to ensure you are settled in. 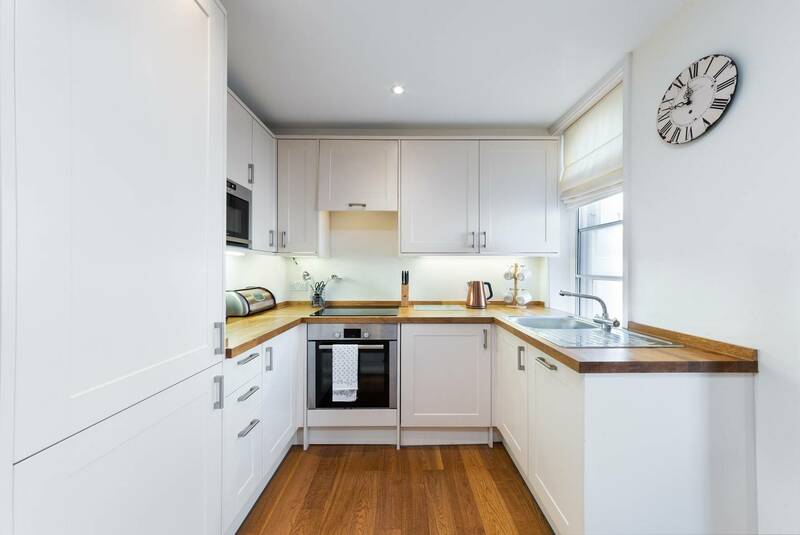 Welcome to Fulham Broadway, in west London, an extremely popular and highly sought after area of the capital. 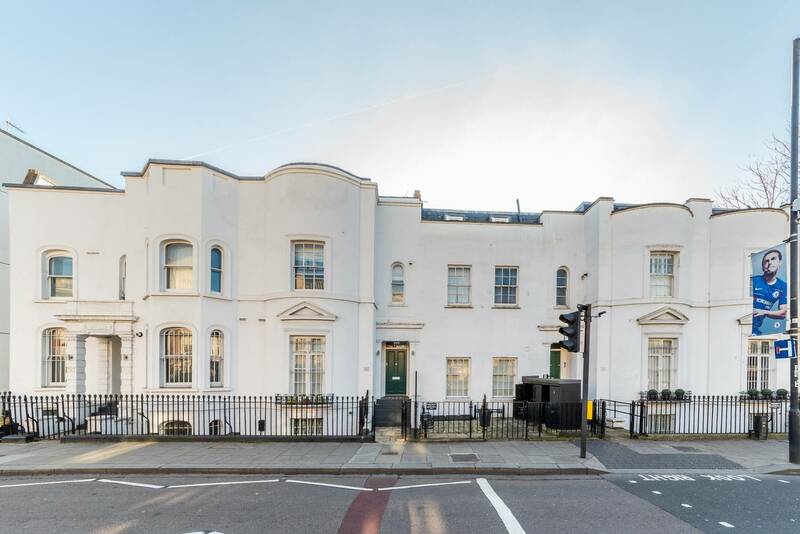 The apartment is situated on a road that mixes residential and retail properties in what’s known for being one of the smartest areas of London. 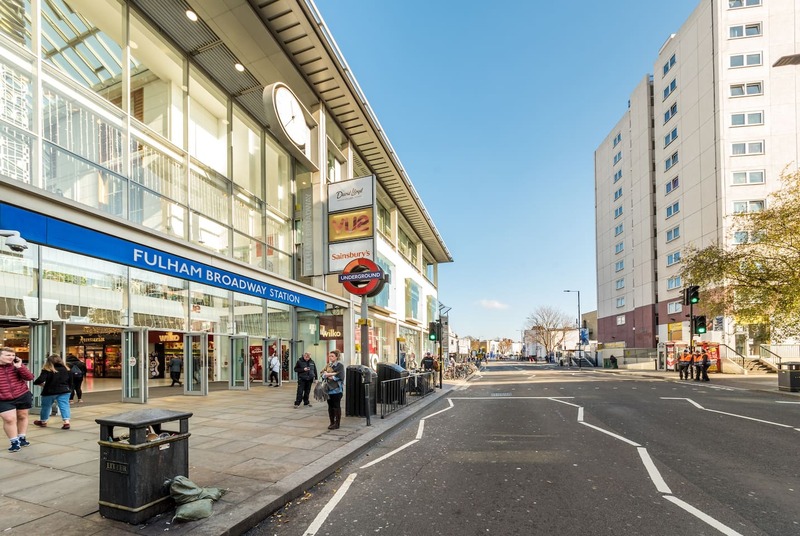 Close by are the shops, bars and restaurants of Fulham Broadway which also has its own station on the London Underground network, so you can get to anywhere else in London really easily from here. Eel Brook Common, a big park that’s an ideal destination if you want your kids to run off some of their excess energy! Stamford Bridge, home of Chelsea FC – got tickets for a match? Make a night or weekend of it and stay here. We are close to Fulham FC’s Craven Cottage home ground too. 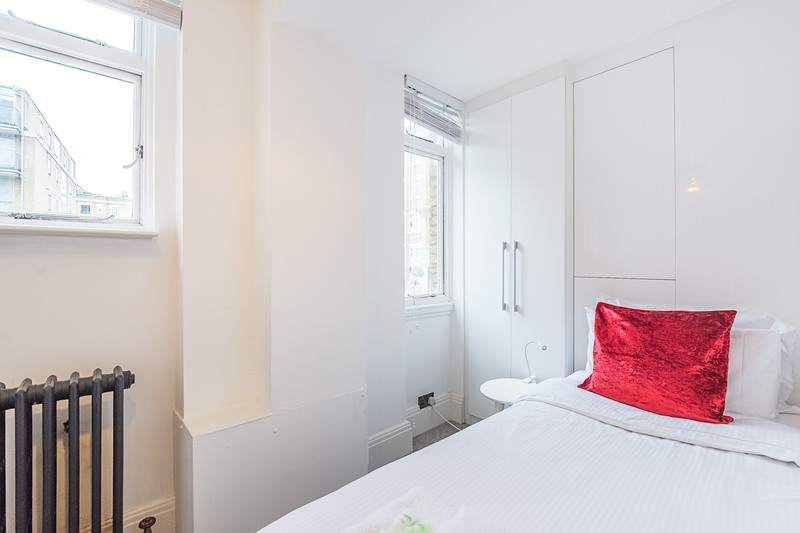 Chelsea & Westminster Hospital – if you want to be near someone who’s having treatment there, why not stay here? The King’s Road – the iconic shopping strip of boutique stores and cafes. 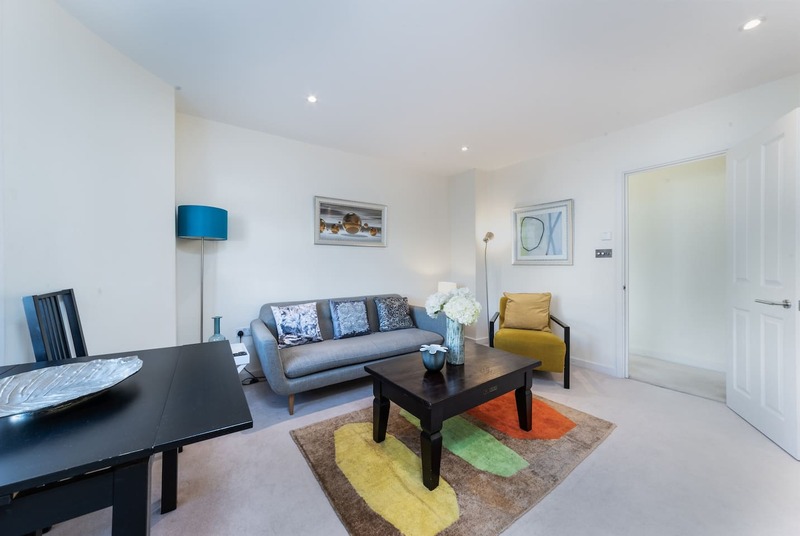 With Fulham Broadway tube station just a 5min walk away, you have the whole of London within easy reach. 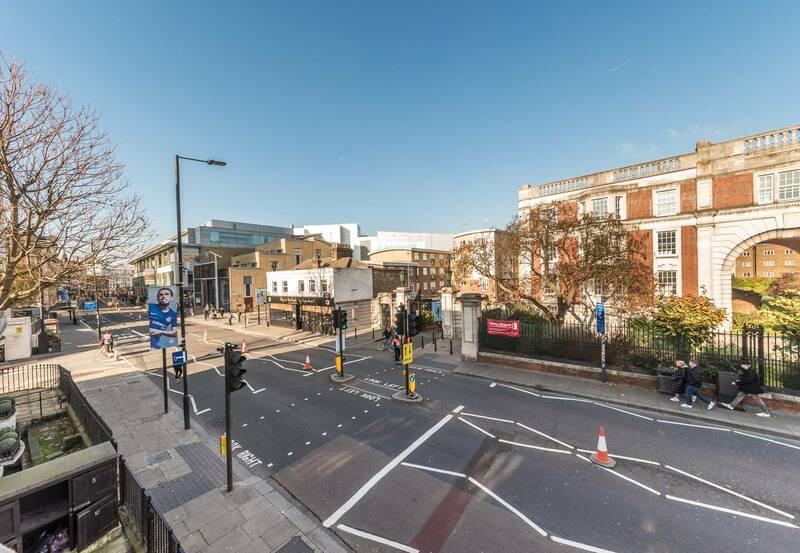 Just one stop away on the London underground is West Brompton from where you can connect with the London Overground network, so you really won’t have trouble getting to wherever you need to be in London from here. There’s also plenty to do on your doorstep and within easy walking or cycling distance. 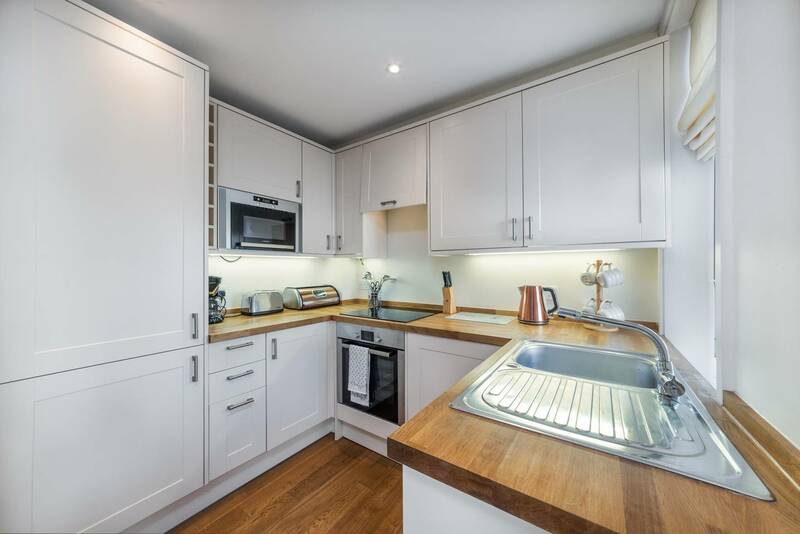 Plenty of bus routes serve the area around this smart 2 bedroom Fulham apartment, so if that’s your preferred method of transport, you’re in luck. And you can always book an Uber or local taxi service to get you where you want to go, or even hail an iconic London black taxi. It’s up to you! No smoking inside the apartment, please. Not suitable for pets. Sorry. No parties or events to be hosted here. But hey, you don’t need to as this apartment is located close to many great venues in which you can party away the night! Please keep the noise down and respect the privacy of your neighbours. Thank you. Check-in is anytime after 3PM. However we charge 20£ for check in after 10pm. We need to know your arrival time at least 3 hours in advance.